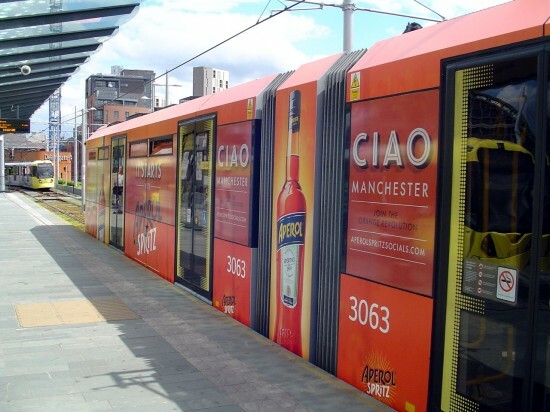 The latest tram in Manchester to receive an advertising livery is 3063 which has been seen carrying vinyls for Aperol Spritz, which is apparently the most widespread and commonly aperitif drunk in Italy. 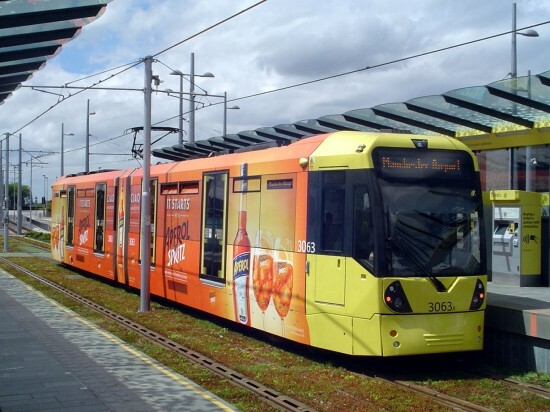 The livery, featuring contravision on all passenger windows, is mainly orange providing a nice contrast with the standard Metrolink livery which is retained on the ends. This is the first advert carried by 3063. Dave Elison provides the following images. The full advert is seen here on 3063 as it pauses at Deansgate-Castlefield on 4th June whilst working on the Manchester Airport line. Is it a tram no its a mess .